Dr. Fred Bryant has not only provided leadership in his profession, he has also made major contributions in range and wildlife research. Fred’s international experiences include research activities in Mexico, Peru, Bolivia and Morocco. The principal focus of his international research was on sustainability of the pastures and rangelands of these countries, with specific emphasis on grazing animals. Dr. Bryant has co-authored 3 books: 1) Wildlife Habitat Management of Forestlands, Rangelands, and Farmlands, 1998; 2) Range Management: Integrating Cattle, Wildlife and Range, 2003; and 3) Texas Bobwhites: A Guide to Their Foods and Habitat Management, 2010. He is also the author of several book chapters and numerous journal articles, bulletins, symposia reports, popular articles, and abstracts. Dr. Bryant has provided exceptional service to the Society for Range Management and the profession of range management since 1974. Few people have been as dedicated to the advancement of the Society, and even fewer have been as effective. He has been a leader of our society serving as President of the Texas Section in 1991 and of the Parent Society in 1995. Dr. Bryant has been especially effective in his current position as Endowed Director of Wildlife Research, Caesar Kleberg Wildlife Research Institute (CKWRI). 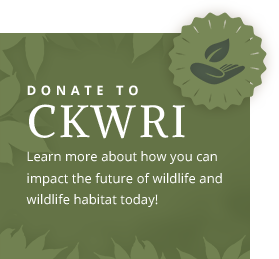 His effectiveness in this position has been exceptional, leading the CKWRI to be the most recognized wildlife management program in the country. He has done more than any other individual to promote the proper management of our natural resources through education, research, and community outreach. Dr. Bryant is truly in a class by himself and clearly exceeds all the criteria established for the SRM Sustained Lifetime Achievement Award.